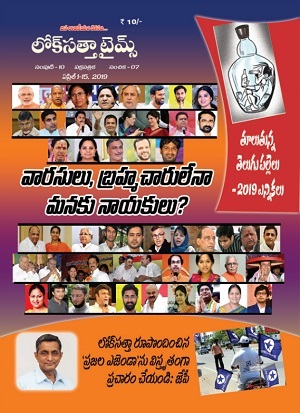 The Loksatta Party and the CPI today charged election officials at the constituency level with creating hurdles in legitimate political campaigning by strangely interpreting the model code of conduct. They are planning to lead an all-party delegation to the Chief Electoral Officer tomorrow to request him to remove all such unwarranted hurdles. Addressing a meeting held at the Loksatta Party headquarters, State party President Katari Srinivasa Rao pointed out that traditional parties have been deploying money and liquor on a large scale, even according to official data. Liquor sales, which doubled in February compared to January, are expected to treble in March. Money is being transferred online. Against such a backdrop, parties which undertake campaigning without distributing money and liquor are subjected to severe hardship because of restrictions. Constituency-level officials are removing authorized hoardings, posters and party flags and seizing vehicles. They are asked to take approval from the District Maintenance Cell for even posters and hoardings. Parties have to go round three or four police stations for using microphones and vehicles. 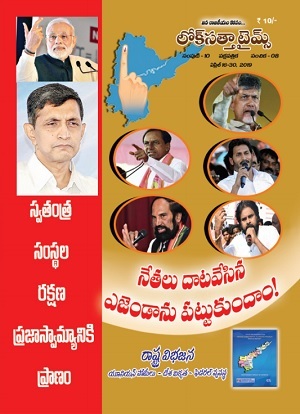 CPI State Secretary K. Ramakrishna recalled that the Central Election Commissioner himself has disclosed that one Lok Sabha candidate is prepared to spend Rs.100 crore and another Rs.35 crore and added that instead of preventing distribution of money and liquor, officials are obstructing legitimate campaigning.